Nairobi is the capital of Kenya and one the top business centers of Africa, but it’s also a great tourist destination with Nairobi National Park, Bomas of Kenya cultural center, natural wonders within driving distance, traditional markets, modern malls, restaurants and more. Nairobi is one of the most vibrant cities of sub-Saharan Africa. When I grew up there, it was the quintessential laid-back British-style city. It was one of the safest places on the planet. Check out more places to visit in Kenya. Nairobi has a National Park with all the big mammals, cats, and exotic birds, so close to the hustle and bustle of the big city. I’ve seen giraffes almost all the way to the airport! So, keep an eye out for the elegant creatures around the airport. Visiting Nairobi National Park will take about a day and it’ll be well worth it. Especially, as the flights arrive into Nairobi. One of the popular attractions is the Safari Walk, an elevated walk over the savanna grassland. It serves as a great observation deck, offering a unique vantage point for spotting and photographing wild animals. Nairobi National Park Safari Walk, a creative way to watch wildlife in the wild. The national park has interesting museums explaining the wildlife and history. They fit in perfectly with the national park and Kenyan rural setup. A rare family picture in Nairobi National Park. A striped wildebeest in Nairobi National Park looks like a hybrid of the Masai Mara wildebeest and the zebra. As an added benefit of a national park near a large city, is that kids can easily come to see the wonderful creatures. The flora in Nairobi National Park includes many species of trees, flowers, and shrubs. With the perfect Nairobi climate, every organism thrives. Believe it or not, it is possible to have adventures even in Nairobi National Park, so close to the city. We used to come to the city to take flights to India. That was the big opportunity for our parents to go shopping, sightseeing, and dining in Nairobi. In the early days, they got the opportunity every two years. One time, my parents and some friends decided to visit Nairobi National Park during the day. They had ample time since the airport was close by and they could easily catch the 8 pm flight out of Nairobi. Well, at some point in the afternoon, their car got stuck in a remote part of Nairobi National Park. They tried many techniques to get the car out, but hours seem to fly by as nothing worked, try what they may. Just as it seemed like a hopeless situation, they saw another safari jeep driving up ahead. They quickly started making all kinds of noises, until they finally got the other jeep’s attention. The other visitors waved at them but decided to turn around and head in another direction. Hopeless as the situation was, now there was a bigger worry than missing the flight to India and maybe not being able to afford another one for two years – If they stayed in the national park into dusk, they could become a good meal for the big cats that come out to hunt in the evening. As fate would have it, the other safari visitors had quickly turned to race to the main entrance and tell the rangers to rescue my parents and their friends. Luckily they had not wasted a moment. Soon the rescue rangers arrived, and get them all out of the tight situation. Soon, they were heading to the airport and they just made it to their flight! Nairobi is known for its natural beauty and wildlife. Little is know about the rich culture and history of Kenya. 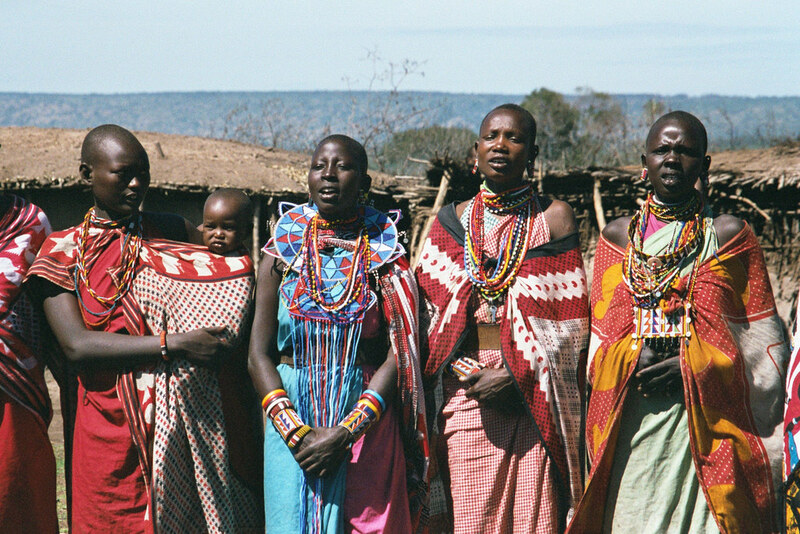 Kenya has 42 tribes assorted into three ethnic groups. Each tribe has a very rich cultural history and rivalry with other tribes. They have distinctive outfits, food, architecture(hut design), dialect, music, and dance. While the Samburu and Maasai cultures are best preserved and practiced, tribal affiliations still run strong in other tribes. One of my favorite memories of Nairobi is of Bomas of Kenya. It is a large cultural center with traditional dances, music and most interestingly homesteads of various Kenyan tribes. It’s a great place to learn about many tribes and cultures in one city. Bomas of Kenya can be visited as a day trip but if one is short on time, half a day would work too. Nairobi is a cultural, business, shopping, policy, and education hub of the region. There are open markets by villagers, high-end malls, exhibitions, beautiful parks, nice restaurants, movie theaters and more. Nairobi has great weather year round, cool in the mornings & evenings and warm during the day. Uhuru Park is a special hangout place and a respite from a hectic day in the city. It’s popular with locals, hence a great place to feel the vibe of the city. Snake Park is another unique attraction is the, a museum and reptile research center since 1961. Nairobi offers open markets where villagers and their agents come to sell handmade handicrafts, kitchen, and housewares. The markets are popular with tourists. However, they can tell who are tourists and jack up the prices accordingly. When in Nairobi, safety is paramount. Stay outdoors only during daylight times. The best way to get around is with a car. We always had my parents’ car so, I don’t have experience renting or driving ourselves. Driving is on the left side, like UK, India and other Commonwealth countries. It seems pretty straightforward. The locals get around in the popular Matatu, a minivan ride share. Matatus are everywhere and are jam-packed with people hanging on all sites. It looks stuffed and risky way get around. It would worth an experience. Nairobi has many great restaurants, including many good Indian and international restaurants. Even the Indian food in the mall’s food court was surprisingly good. Check the days and locations for the street markets ahead of time and be sure to visit one for souvenirs or just to get a taste of local culture.